Anyone who follows our blog regularly knows the importance we place on using cover crops in our garden. Quite simply – they are the best way to easily and inexpensively build your garden soil into super soil. Cover crops are simple to plant, easy to maintain, and easy to incorporate into the soil in the spring. We get so many questions to the blog on cover crops – so for today’s gardening post – we thought we would write a basic course on cover crops. Some of our raised row with their blanket of cover crops after last seasons tomato harvest. A cover crop is a specific planting of a crop like annual rye, clover, buckwheat or others that is designed to give its entire resources back to the soil. 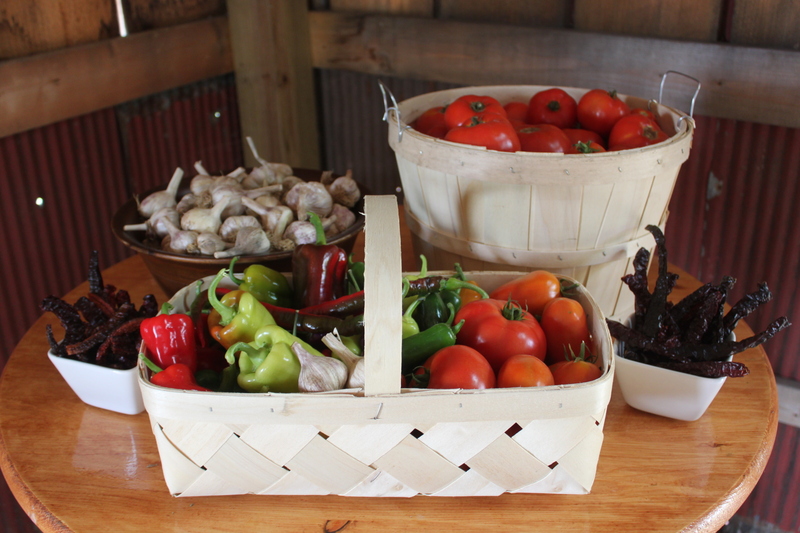 Instead of harvesting the crop – it is incorporated back into the soil to add vitality, nutrients and organic matter. Cover crops give back tons of nutrients to the soil! 1. They add tremendous amounts of organic matter and nutrition back to your soil. 3.They significantly cut down on the amount of weeds you will have in your gardening space next year. 4. They loosen your soil, making it easier to work with each successive crop. We like to plant or cover crops in mid to late fall – giving them enough time (a month or so) to germinate and fill in the planting rows of our garden with a thick patch of growth. They will continue to grow until the first hard frost, at which point they will die back and turn brown for the winter. As the soil and temps start to warm up in the spring – they too will “spring” back to life and continue to grow. We keep ours growing until we are about ready to plant our spring crops – and then turn them over in our raised beds right before planting. 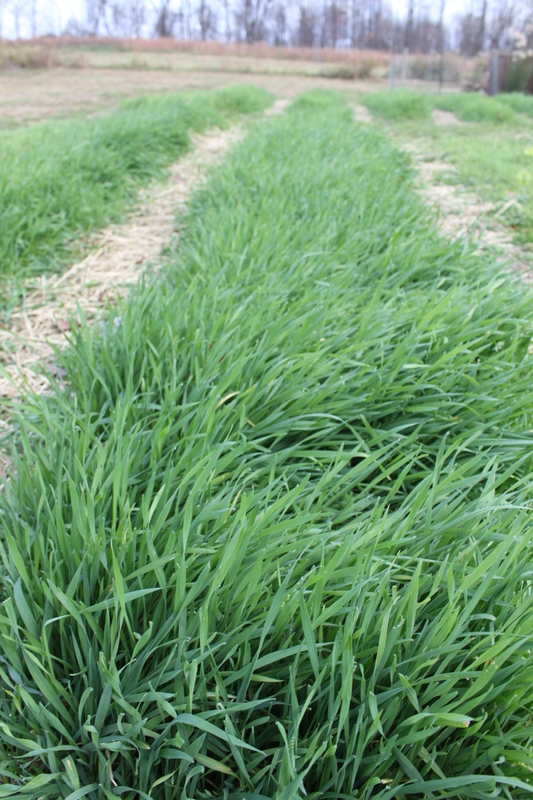 We prefer annual rye – it sprouts fast, grows fast – and has great root structure that helps loosen the soil. It also is fantastic at fixing nitrogen levels in your soil – making it easy for the next crop planted to absorb it into it’s roots, stems and leaves. Annual rye is also easy to turn over with just a shovel or pitchfork. 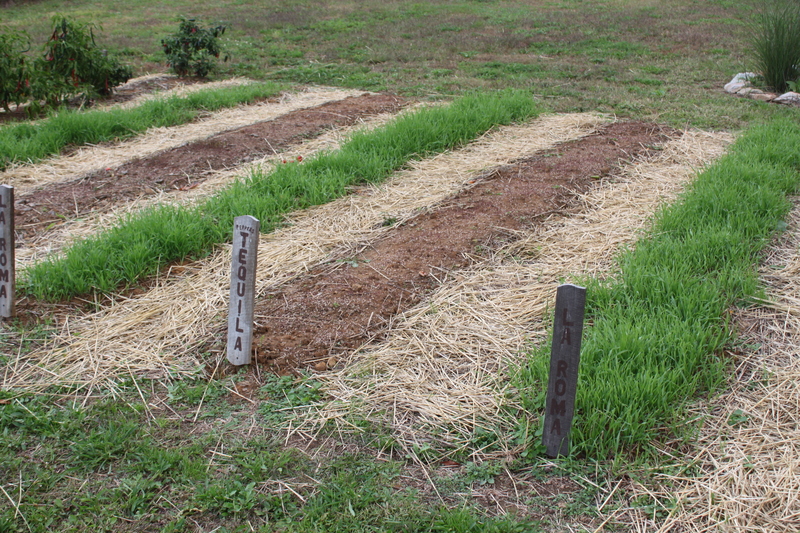 Other good choices for cover crops are buckwheat, annual clover, and hairy vetch. Just remember when you are selecting your seed – to make sure these are specifically for cover crops and are annual varieties. Feed mills and garden stores are great places to buy the seed – and usually are more than happy to help out with questions and advice. WILL THE COVER CROPS COME BACK AND BE A PROBLEM IN MY BEDS ? 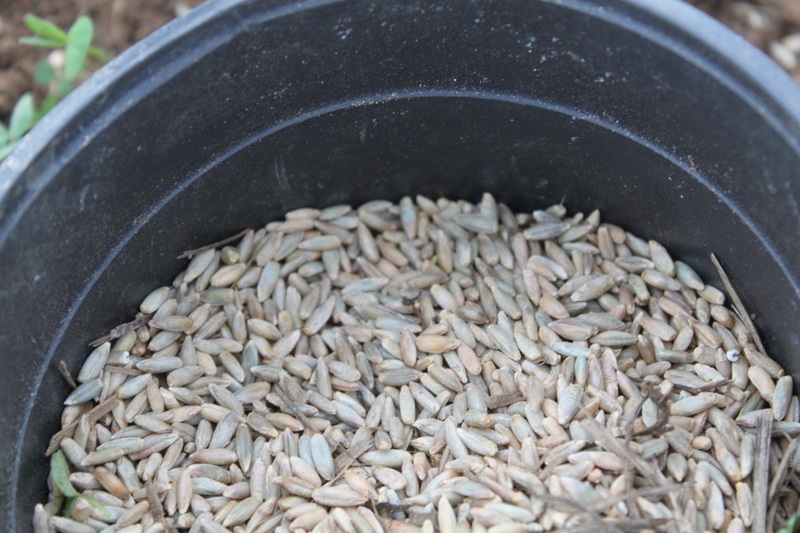 If you are using a true annual seed like annual rye – you will not have to worry about it coming back. Most problems occur for two simple reasons – either the seed used for a cover crop was a perennial variety, or it was allowed to go to seed – at which point – the seed heads could reseed the ground below. Both potential problems are easy to overcome – make sure you purchase your seed from a reputable seed dealer, and be clear to ask for annual varieties. Second – if you begin to see your cover crop forming a seed head or shoot – simply mow it off and you are good to go. The best part of planting a cover crop is the ease in which it can be done. No need to till or dig up your soil form the past gardening season. Simply rake it out and scatter your seeds – much like if you were spreading grass seed. Next, gently and easily rake into the soil, water – and in about 10 to 14 days – your cover crop will be growing! Caring for your cover crop is just as easy – you simply watch it grow! We will mow it if it starts to become tall and before seed heads form – keeping away any new rye from growing. We also mow ours off right before we turn it over to make it easy to incorporate. The clippings add organic matter as well. Yes- cover crops work! They make your garden productive year after year! So – do they really work? The answer is yes – and here’s a little story from our own garden this past season that reminded us just how important they are. Our main garden consists of 27 raised row beds. We were able to put 25 of our 27 rows last year into cover crops. We had run out of seed for the final two, and never made it back to sow the last two rows. When we went back to plant our crops this spring – it amazed me to see how much easier the soil in the cover crop rows was to turn. It was loose, friable, and did not clump together. The final two rows – completely opposite! Then 4 weeks into the growing season, it became even more evident why cover crops work. 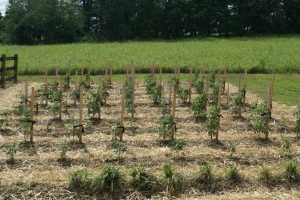 The rows where we had used cover crops were virtually free of weeds, and the plants were all healthy and green. The missing rows were loaded with all types of weeds that had obviously blown into the open and bare soil over fall and winter months, and the plants were noticeably smaller and less healthy. Real life results of the advantages of a cover crop!